The holidays are upon us and Christmas is coming soon! I am afraid this may be my son’s last year he believes in Santa. He is already asking a lot of questions and getting the age where he is really figuring everything out. A call from Santa might just do the trick! 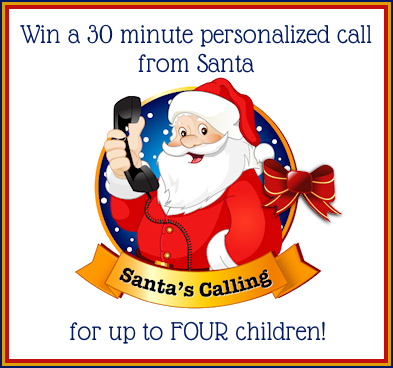 This week you can enter to win four 30 minute phone calls from Santa! 15 minute personalized call and MP3 recording mailed to you on a keepsake mini CD that can be hung on the tree! You can also choose to receive a personalized letter from Santa. Simply fill out the short form and your loved one will receive a holiday keepsake that will be cherished for a lifetime. Start your new holiday tradition now! 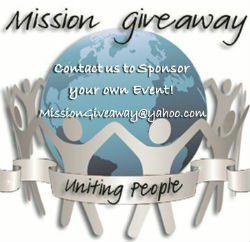 The winner will receive TWO prize packages. One to keep and one to share. A 30 minute personalized call from Santa or other favorite Holiday Character, an MP3 recording of the call, and a Mini Keepsake CD to hang on your tree! This prize is valid for up to four (4) children. The Giveaway will open up on Monday 10/29 at 10 pm EST and Close on Friday 11/2 at 11:59 pm EST. I would pay it forward to my brother. He has been working 2 jobs and fire fighting and his girls would love this. He is a great help to everyone, and this would help with his Christmas for the girls. I would probably do this for either my son or for my nieces. I would love for my son to get the opportunity to talk to Santa, but he is the only child and it may be better to go to a home with more than one kid, which is why I may do for my sister and her kids. I would share with a internet friend. She has a boutique on Facebook. I met her about a year ago. She has had a lot of family issues, but aways gets her orders out. She has younger children amd although I’ve never met her in person I consider her a good friend! !